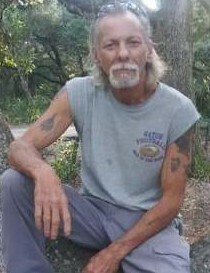 Ted Curtis Vaughn, Sr., 60 passed away on Friday March 29, 2019. He was born in Jacksonville, FL, to the late Curtis and Josephine (Brace) Vaughn. Ted was a painter by trade and loved raising chickens, fishing, and spending time with his grandchildren. He was a loving father, brother, grandfather and friend and will be dearly missed by all. He is preceded in death by his wife, Linda Vaughn, sons, Charlie Joseph Vaughn, brothers, Jack, James, and Pete Vaughn, sister, Winky Hendrix. Survivors include his son, Ted Vaughn, and James Michael Kersey; daughters, Carol Strickland, and Minnie Sluder (Alger); Brother Willie Hendrix; grandchildren, Abigail, Josie, Alyssa, Allison, David, Serenidy, Joshua, Aden, Ted III, Linda, and James, and a host of other relatives and friends. Memorial services will be held on Wednesday April 3, 2019 at 4:00 pm in the chapel of Cedar Bay Funeral Home, 405 New Berlin Road, Jacksonville, with Pastor Buddy Wimberley officiating, the family will receive friends starting at 3:00 pm at the funeral home.